Indian dance influence on Sri Lanka could be analysed from the artefacts produced from the early era of Indian occupation in Sri Lanka. Indian occupation took place during the early years of the tenth century in Sri Lanka. It is based on the fact that how the performing art dance inspired and influenced the minds of sculptors of the Polonnaruwa period. The influence of aesthetically pleasing and rhythmic vibrant movements of dance influenced the creative minds of the people. Hindu temples and decorative architectural sculptures of opening years of Polonnaruwa period reveal how the dance stances, poses and practical dance movements influenced the minds of the sculptors of that period. Today the experts estimated that the age of the Polonnaruwa period artefacts is almost more than nine hundred years old. Polonnaruwa period is taken as a specific era in Sri Lankan history because of the strong socio-political impact brought and imposed on Sri Lanka by Cholas who ruled Sri Lanka as a province of South India. They imposed their religion, culture and arts for a period of more than half a century. For their worship, quite a large number of Hindu temples were built by them. They installed stone and bronze sculptures of Hindu gods with the dance influence. The Indian dance influence continuously impressed the sculptural concepts and decorative architectural sculptures of Sri Lanka which could be seen in different art forms including iconography and decorative architectural buildings. Following the Polonnaruwa period, numerous other periods existed in the Sri Lankan history. The dance impact on sculptures could be obviously seen in the post-Polonnaruwa period building decorations and sculptures especially in the periods of Dambadeniya, Kurunegala, Yapahuwa, Gampola, Raigama, Seethawaka, Kotte, Kandy and Colombo. Earlier temple Sadir dancers of South India and northern Sri Lanka were called Sadirkaris. They danced at temple festivals. The Sadir dances were called Sadir Kacheris. Devadasis were called Sadirkaris. Their dance took place throughout the night. With the passage of time, Devadasis lost its reputation in South India. Consequently practising Sadir at temples was banned in India. In northern Sri Lanka too, Sadir gradually lost its reputation. However, it was practised in Jaffna village temples till the 1970s. It was good entertainment for devotees as well as for the audience. Sri Lankan Tamil music, dance, devotional Pun music, temple paintings and sculptures all are deeply influenced by the South Indian culture, practices and tradition. 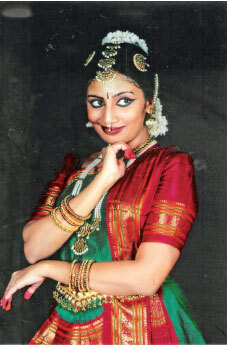 Today Bharatha Natyam is regarded as a Tamil Nadu state dance. And it is also regarded as a Tamil cultural dance form which is totally based on Hindu philosophy and religion. After the first quarter of the 20th century, many of times Tagore visited Sri Lanka with his dance troupe and presented excellent dance programmes and dance dramas. He displayed his troupes’ exceptional dance skills and exceptional talents to the Colombo and Jaffna audience. Once in 1934, his Santiniketan students displayed a Bengali dance drama at the Regal Theatre Colombo. Some of his productions were displayed in Jaffna and Colombo repeatedly more than two times. After that Santiniketan students continuously presented numerous dance programmes in Sri Lankan soil. Similarly, the internationally famed Uday Shankar and Nataraj Varshi troupes were also presented numerous outstanding dance shows in Sri Lanka in-between the period of 1940 to 1945. Anyhow all these dance forms were not pure classical dances, but all of them were based on mixed with semi-classical dances with numerous fusion techniques. Even many of the outstanding dancers and dance troupes from India visited Sri Lanka and held numerous programmes. They also conducted a few lecture demonstrations. Among them was Bala Saraswathi, ‘the Queen of Abhinaya’. In 1943 she along with her troupe gave performances. Similarly, the well-known dancer Mrinalini Sarabai visited Sri Lanka with her husband and gave a performance. Bharatha Natyam show but a mixture of Kathakali and Bharatha Natyam. After the Second World War period, most of the students from Colombo and Jaffna went to India to learn Bharatha Natyam in Madras. In 1954 Kamala Laxman gave an excellent performance under the guidance of her guru Vazhuvoor Ramaiah Pillai at the Saraswathy Hall in Colombo and Manohara theatre in Jaffna. All the outstanding Indian dancers’ visits attracted and influenced the young minds of those days and induced them to learn these dance forms. Guru Rukmini Devi was a student of Guru Pandanallur Meenakshi Sundaram Pillai. Rukmini Devi established the institution Kalashethra in 1936 and many students from Sri Lanka studied at Kalashethra. Several others studied at the Vazhuvoor School. Most of them studied directly under Vazhuvoor Ramaiah Pillai. The distinguished artistes of India who impressed the younger generation of Sri Lanka induced them to learn the devotional art Bharatha Natyam. Numerous students who studied dance in India started dance classes in the latter part of the 1940s and 1950s. A music and dance school named ‘Kalalaya’ was established in Colombo in 1948. Still, it is functioning. One of the first and foremost dance teachers was Srimathi Kamala Johnpillai who was the first Sri Lankan to enter the Kalashethra in 1945. She returned to Sri Lanka after four years. 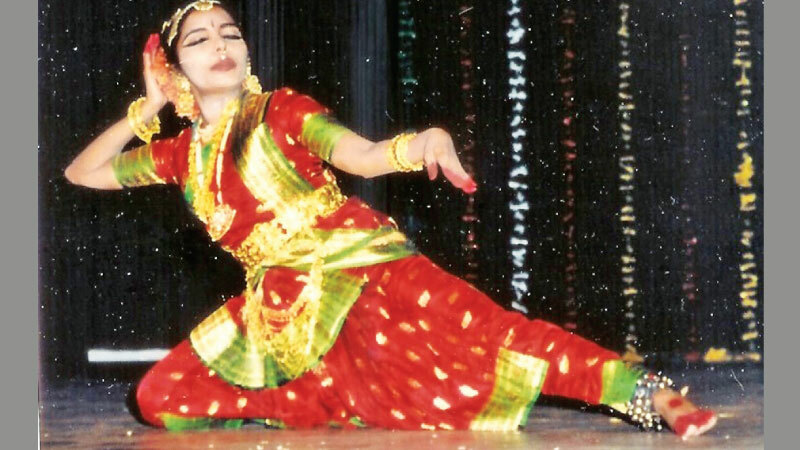 Similarly, Srimathi Tirupurasundari Yoganantham started the Vazhuvoor style Bharatha Natyam dance school in Jaffna under the name of Kalai Mandram in October 1958. Some of the Sri Lankans went to India and learnt Kathakali, Mohini Attam and Manipuri dances under some outstanding individual Gurus and in some of the outstanding institutions. The Ramanathan Academy of Fine Arts at Maruthanamadam, Jaffna was established to promote the Tamil classical dances and classical Tamil music specially Bharatha Natyam, the Classical Carnatic music and all the allied subjects. In December 1975, it was placed as the Jaffna Campus of the University of Sri Lanka for Fine arts. Later it was raised to the status of University with the creation of the University of Jaffna in 1979. But in 1992 it was separated from the Department of Fine Arts. And now today Ramanathan Academy of Fine Arts Maruthanamadam is functioning as a separate entity but it is affiliated to the University of Jaffna. Similarly, in Eastern Sri Lanka the Swami Vipulanda Institute of Aesthetic Studies is in affiliation with the Eastern University of Sri Lanka, which is also awarding degrees in Bharatha Natyam and Classical Carnatic music and allied subjects. The Swami Vipulanda Institute of Aesthetic Studies was established in 29th May 1982 at Kalladi Uppodai, in Batticaloa by the Ministry of Regional development and Hindu Cultural affairs in memory of the great Tamil scholar late Swamy Vipulanda Addikal. In 1986 The Eastern University of Sri Lanka was established and with the passage of time from January 1, 2002, this institute was affiliated to the Eastern University of Sri Lanka. Similarly, the Visual and Performing Arts University, at Colombo-7, has a separate dance unit for Indian classical dances under the name of Department for Indian and Asian dances. Bharatha Natyam and Kathak dances are imparting at this faculty and the degrees are also awarded in these streams. Even some of the western Sri Lankan universities have Indian Dances as subsidiary subjects yet all the Sri Lankan Universities which are conducting these Indian classical dance studies need to improve their quality and standards within the well-defined boundaries in different dimensions, otherwise theses Indian dance faculties won’t be able to compete in the international spheres.